Combined Bike and Walk City Fun Tour for private parties up to six people. This tour is available daily with pick up at your Hotel at 9:30am or 2pm. The price is CHF 330.- total for a maximum of 6 people. Free cancellation up to 24 hours before departure. Alternatively you are free to book with TripadvisorExperiences, GetYourGuide or Expedia. The duration of the tour is 2,5 hrs. The tour takes place in all weather. Please dress appropriate. However in case of bad weather the tour can be turned into a 2,5 hrs walking tour (without biking). The decision on that is taken solely by the client at the time of pick up. The minimum age to participate on this tour is 14. Private combined Biking and Walking Tour with english speaking Local Guide. Helmets (It is not mandatory to wear a helmet in Switzerland while biking). 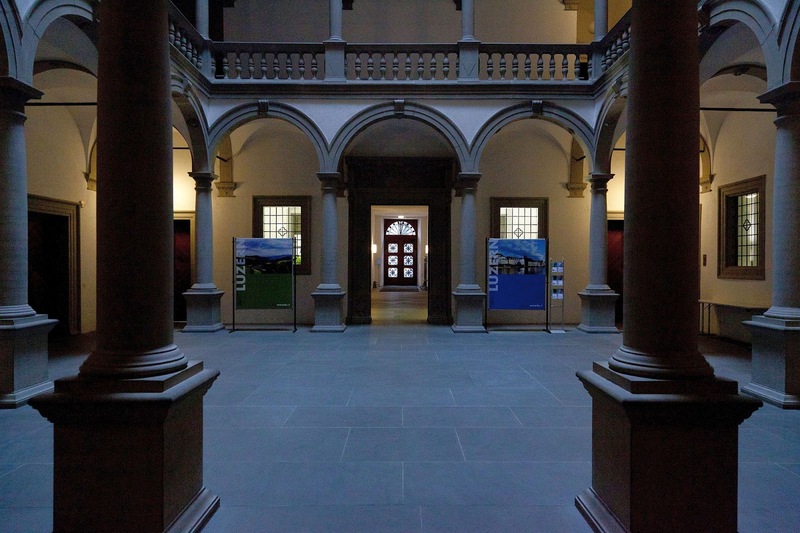 Your tour starts either 9:30am or 2pm in the lobby of your Hotel in Lucerne. Your local guide Ralf picks you up and you are kindly requested to sign a waiver where you declare that you have experience in riding a bike in the city traffic, that you know and respect the traffic regulations and that you are in good health. Then you walk to the next bike rental station which is in walking distance. Your local guide rents your bike and hands it over to you. After some practicing and explanation of the most important traffic rules you follow your guide and ride your bike to the historical center. 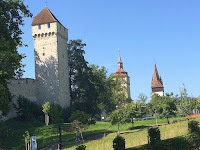 The first stop is at the Chapel Bridge and Water Tower where you get brief information on the most photographed attraction in Switzerland. baroque church in Switzerland. A stone’s throw away is the Ritter Palace which you will visit from the inside and marvel the "Danse Macabre" paintings (except on Saturdays, Sundays, Holidays and special events). 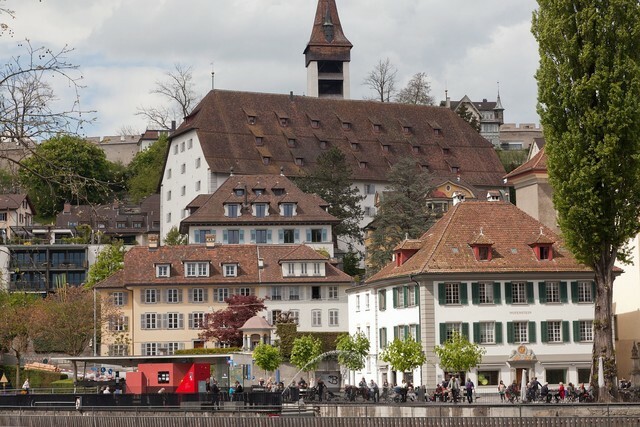 Then you ride your bike over the Reuss Bridge to the Mill Square for the next stop. You see the wooden Mill Bridge and get further information about the historical attractions in Old Lucerne. Your next stop is on Löwengraben street where you continue on foot. 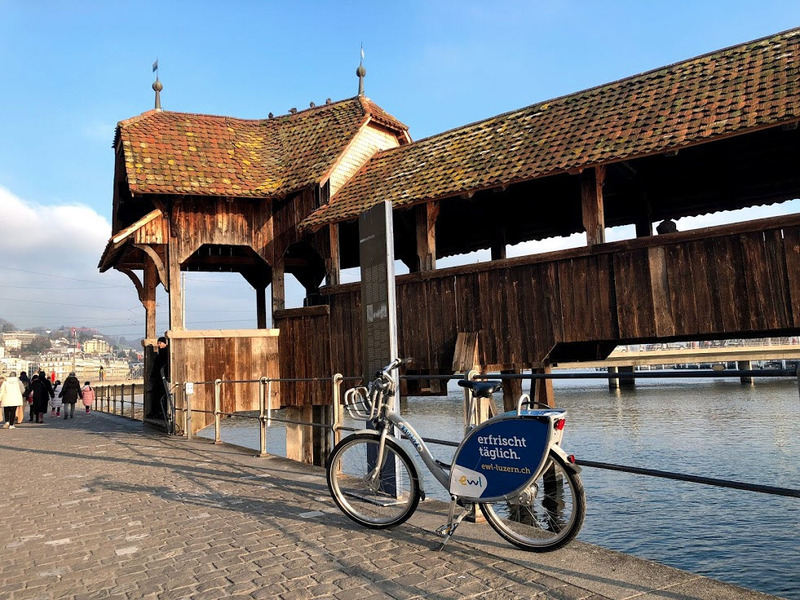 Your guide takes you to the Stag Square to see old houses, to the Kornmarkt to admire the Town Hall and to the Wine Market where you will drink from the best water of Lucerne. guide takes you the ancient fortification wall dating back to the 15th century. You see the wall and climb the the steep stairs to see the fascinating Clock Tower from the inside. Then you continue biking through Hertensteinstrasse to the Lion Monument. 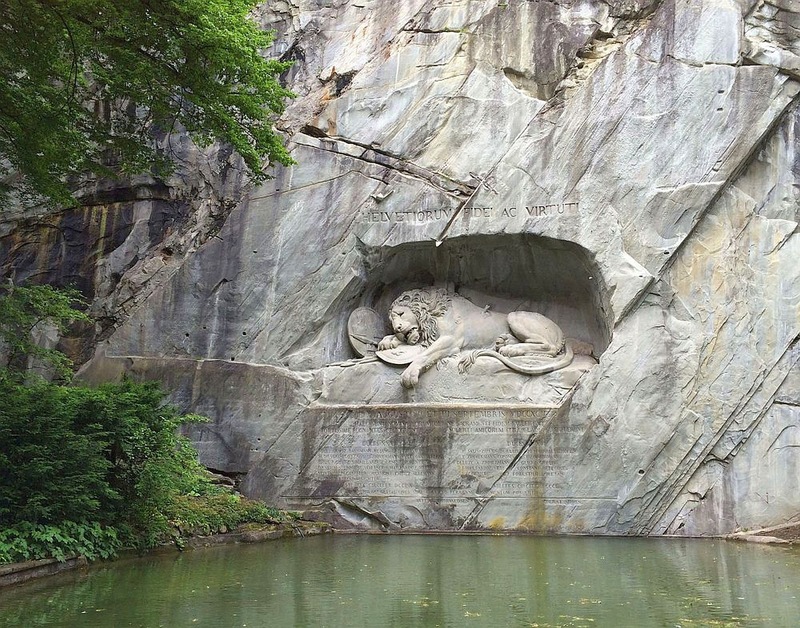 Your guide tells you the story behind this monument commemorating to the fallen swiss mercenaries during the French Revolution. 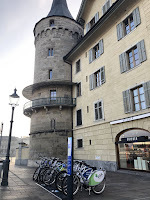 After a short ride on your bike you arrive at Schwanenplatz where your guide informs you about St. Peter's Chapell, the Chappel Bridge and the Zur Gilgen House. 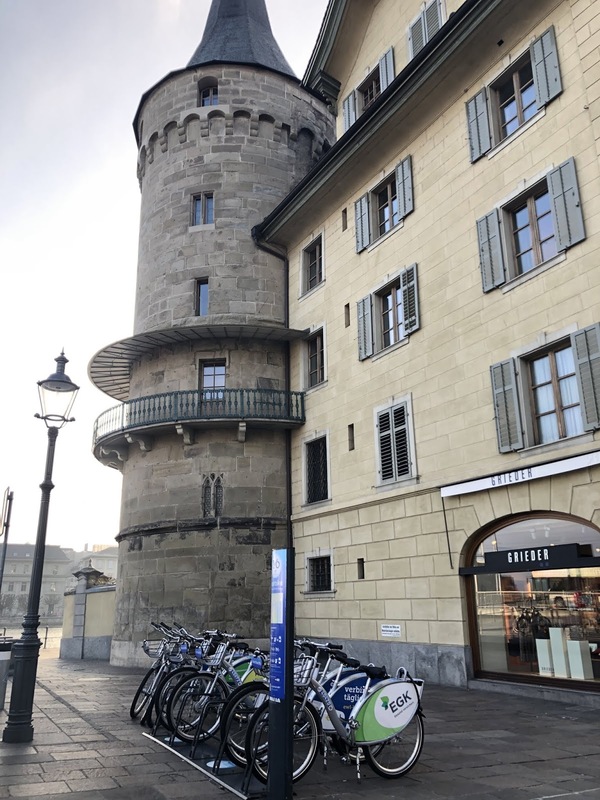 At the end you drive your bike back to the rental station next to your hotel and your guide will accompany you back to your hotel, where he is available to let you have information about excursions and tours in and around Lucerne.